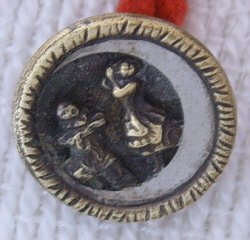 A nice vintage button of Perriot and Perriotte. Pl. 160 No. 15 in the Big Book of Buttons. Measure - Buttons measure 11/16" Dia.